Reviews for Volumes 1 and 2! Hey all! I’ve only gotten a few reviews, but check out what people are saying about The Golden Lands! 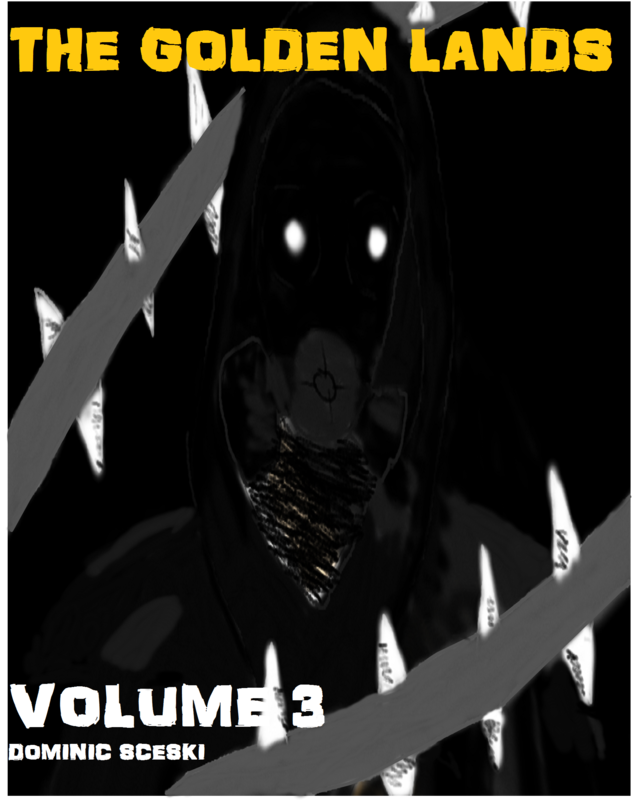 So, after a lot of ups and downs and modifications, here’s the cover for Volume 3! As can be blatantly seen, this volume possesses a sense of mystery and intensity. I’m not going to release a plot summary yet, as I want to give some of you time to finish Volumes 1 and 2. But, as I’m hoping you can tell, Volume 3 is going to be very exciting! Any thoughts? Which cover do you like the best so far? I’d love to know! Just a reminder that Volume 1 is still a free download at Smashwords, Barnes and Nobles, and the iTunes store! Oh God, How We Need You! Have you ever thought about just how much God influences every good action we do? Have you ever thought about how much we need God to do anything good? Sure, we need to agree with His grace; we need to choose to cooperate. But even making that choice to cooperate—God is the One that empowers us to choose to act on His grace. Not enough credit goes to God; it’s our fault. Even if we aren’t crediting ourselves, even if we aren’t being prideful, still we allow the Truth to wash over us. Yet, we must drink the Truth. We have to remember that we aren’t the ones that are powerful. We aren’t the ones that are strong. We aren’t our own stronghold. As Christians, we’re called to do the extraordinary sometimes. We’re called to persevere and do things no one thinks possible. Only things people imagine and daydream about. Guess what came in the mail??? The paperback copy of Volume 2!!! I’m really excited…everything looks perfect. This means that it’ll be ready for Amazon very shortly. Unfortunately, I made the same mistake with Volume 2 as I did with Volume 1. I forgot to change in the document “published at Smashwords” to “published at Createspace”. Oh well…it should be an easy fix. Everything is looking good. I also made this cover the “coming up next” picture at the back of Volume 1…only for the paperback. Smashwords won’t let me do it for the eBook. But I’m okay with that now. Thanks for being such great followers! We arrive at Urahara’s shop within a couple of minutes. Kisuke Urahara is an ex-soul reaper that runs a store for soul reapers in this world. He’s always been a good friend; in fact, he’s taught me much of the basics of being a soul reaper, and even more. I wouldn’t be the warrior or the person I am today if not for Kisuke. And he always seems to have an answer for everything. Although he can be both a perv and a lying scumbag, he’s a pretty good guy. And we trust him. “No kidding!” I say, turning back towards the shop. Rukia and I open the door to the store and walk in. From the looks of the interior of the shop, you couldn’t really even guess what Kiskue and his crew sell. Boxes are piled in one area, and some items are set out in a store-like fashion. Everything is swept nice and clean, although I wouldn’t use those words to describe the store as a whole. “Hey Kiskue!” Rukia calls. At the end of the room, a sliding door opens and Kiskue enters the room, gently waving a fan by his face as he approaches. His clogs clap as he walks. I believe he’s what you would call a “hippy”. “Is that the voice of my favorite member of the Kuchiki clan?” he asks in his cool voice. He peeks up at us from under the brow of his white and green hat. “What can I do for you two today?” His two employees, Jinta-a bratty boy who looks like he’s eleven-and Ururu-a timid girl with two big pony-tails of about the same age-both follow him. “We have a few questions to ask you about this guy we found,” I say. “Oh yeah, well bring him in,” Kiskue says cheerfully. “And how long ago did all this happen?” Urahara asks. We all gasp. Five days ago? That can’t be! “You mean you’re only five days old?” I question, incredulous. Sorry it took so long for me to post the next chapter. Things have been kind of crazy with The Golden Lands (TGL). 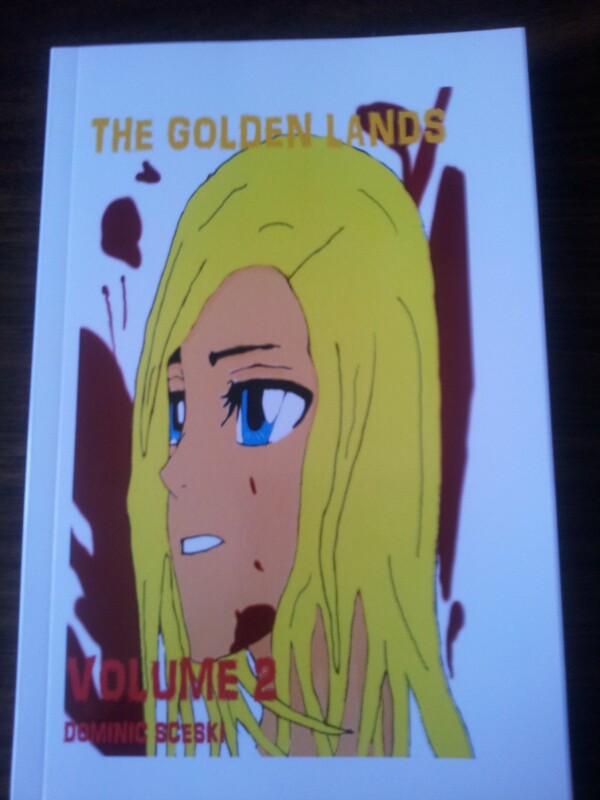 If you guys like my writing, I really think you’ll enjoy my, free, downloadable self-published work: The Golden Lands, Volume 1: Shadows in the Sunlight. Also, if you have any questions about Bleach, TGL, or me, please feel free to comment or contact me! Hey all! 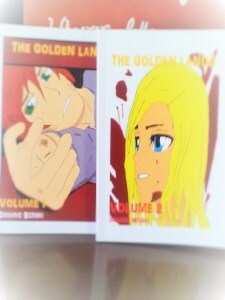 I just wanted to let you know that Volume 1 of The Golden Lands will not be available on Amazon as a paperback for a short time, and it will only be available at Smashwords.com for the time being. I’m redoing some things on the interior of the book in order to make it look more professional, so I kind of have to “pull it out” of all the online bookstores in order to make the revisions. That being said, Volume 2 successfully passed Createspace’s inspection, which means that it is on its way to becoming a paperback too! And one more thing…I am keeping Volume 1 FREE, most likely for a long time, and Volume 2 is only $2.00. Okay! Just a note from the author: I’m not so sure, in relation to the actual Bleach anime, when all of this is taking place. All I know is that it’s after Ichigo saves Rukia and learns how to control his inner hollow. I guess the whole Aizen incident could be completely resolved, but it doesn’t matter either way. “Thanks for dinner, Mr. Kurosaki!” Rukia says cordially, bringing her plate over to Yuzu who’s begun to wash the dishes. My face turns bright red and I stick my tongue out, freezing up awkwardly. Rukia is not my girlfriend. I still can’t decide if I like girls or if they’re still…well, you know, weird. “Oh daddy, you made Ichigo turn red again,” Yuzu comments. “Yeah, I think I know that now,” I say. He still surprise-attacks me if I come home late. “What are you kids gonna’ be up to after dinner?” my dad asks, suspiciously. “What? I don’t know!” I say, flustered. Man, so many questions. I really feel like we’ve gotta get out of the house. Otherwise, we’ll never get any privacy. Everyone is too excited. It seems best to act like I don’t know what we’re going to do. In part I don’t. However, there is a reason as to why Rukia is here. She said she’s got some news for me—interesting news. I’m guessing that overall, it isn’t going to be good. “Sure,” I say, lowering my head with determination. Maybe they need to hear this too. “It’s bad though, isn’t it?” I ask, following her. There are a few people out on the streets, and fewer cars. A couple walks towards us, and two girls exit a store. The sky has grown dark, and I think I hear the sound of thunder rumbling. Everything looks rather gray. Wind sweeps up around us, rustling our clothes and hair as we continue silently towards Chad’s house. The quiet is both peaceful and epic; a storm may be brewing, but just the fact that something so simple as a storm can bring about a bit of excitement—maybe that’s what makes it peaceful. Little things making my life feel exciting. Little things making a positive impact. I hope that whatever Rukia has to say doesn’t disturb this peace too much. Thunder rolls through the clouds, louder this time, and I stiffen. I suddenly sense something, and I feel like I see something on the roof above me at my right. I glance upwards. Nothing there. Huh, maybe I just imagined it. We keep on going forward, and I get the feeling we’re being followed. I don’t like it. Something feels wrong. I look over my shoulder. Nothing there. “What do you mean?” I inquire, confused. We both stop walking, standing beneath the awning of a diner. “I’m telling you, I’m not doing anything,” I say, starting to grow frustrated. I’m an easily angered person. Rukia probably knows that better than anyone. But it’s true: I’m not raising my spiritual pressure. 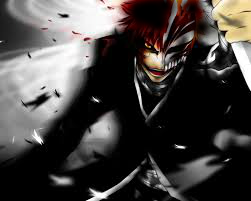 I can do that at will, as I’m a soul reaper. Usually, spiritual pressure increases whenever you’re fighting someone, or when you’re…well, expending the energy of your soul. I’m not doing that right now. I’ll admit, I’m about as crappy as ever at detecting spiritual pressure. I’ve never really been good at that. But I think I would know if I was increasing my own! Then I feel it too. It’s big. The effect of massive spiritual pressure—it’s hard to explain. It feels like your about to be lifted off your feet, and at the same time, like the air is being sucked from your lungs, and your body becomes weak and frail in comparison to the energy rushing through and around you. At first, the shock of experiencing another’s surge of spiritual pressure intimidated me. It put me on edge, like I was in the sights of a deathly hungry lion. Like I knew someone was near me, staring at me, and they wanted to kill me. As I thought before fighting Kenpachi Zaraki, a soul reaper Captain of the Soul Society, the intent to kill can be so powerful, it feels like you’ve already been stabbed. Only this is different. I don’t necessarily feel like someone is about to attack me. But whoever it is, they are powering up, and making their presence known. Rukia doesn’t even have to ask if I feel it. Our eyes widen, and my hand drops down to my belt where I keep hidden my Substitute Shinigami Badge, a token given to me by the Soul Society. It enables my soul to exit my body immediately so I can act as a soul reaper. I wait before turning into a soul reaper…I don’t want to unnecessarily freak out any of the people around. Once I become my soul alone, my body becomes utterly lifeless. It can cause some people to panic. So I wait. I know the voice because it’s mine. I stiffen, gazing up at the person atop the building across from us. Squinting, I peer at him with suspicion and amazement. “Ichigo…” Rukia says in a breathless voice. “Rukia,” I say, “stay back.” Rukia is no longer powerful. Being reduced from a soul reaper to an average human by Sousuke Aizen, she can only cast a few spells. I’m the one with all the power. “Just who the hell are you?” I shout at the person. “Look, I don’t know who you are, but why do you look like me?” I ask. It’s true; the same hair—only his is interestingly black—, the same eyes, the same face shape, the same body, the same voice, the same…everything. “Then come on down here,” I say. I haven’t dropped my guard. Maybe I shouldn’t have shouted that. 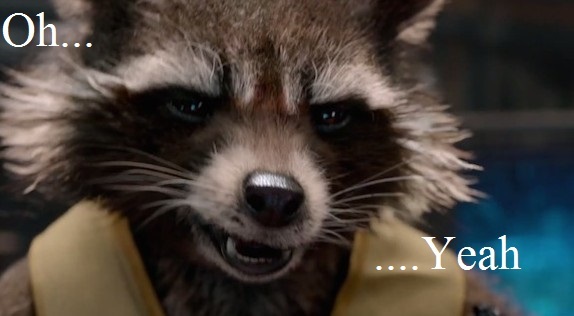 “You clown…” I growl at the other me. “Come on, let’s get out of here!” Rukia says, still not looking. Instead of running for Chad’s house, we run to the place where we know we can talk and get some explanations: Urahara’s shop.